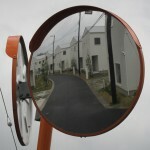 Multiple designations can affect a piece of land in Japan. Developable land will fall into one of twelve land use zones. Municipalities may also create districts or special purpose zones. If the land is located in a city planning area, the municipality may also have a district plan than places further restrictions on development. About a quarter of the land in Japan is controlled by city planning. These planned regions are divided into areas where development is either promoted or controlled (not premitted). Land that falls under some form of city planning will be subdivided into standard land use zones, as well as other forms of districting. Land designated as ‘Urbanisation Promotion Areas’ may have district plans (masterplans, etc) enacted by their municipalities. Land in areas classified for urban development fall within one of the twelve use zone designations. Each zone establishes what kind of development is permitted on the land and restricts building size and density by prescribing the numbers used to calculate the buildable area (FAR, BCR), height, and setback, as explained below. Additionally, the land may fall within one or more districts or a district plan enacted by the municipality to strengthen or relax localized control over matters such as usage, size, density, building heights, fire prevention measures, setbacks for planned roads, greenery, exterior colors, and more. District-wide restrictions may override the uniform use zone restrictions, such as building coverage and floor area ratios.Therefore, it’s imperative to properly research any local districting that may also affect the development. District plans address the interests of the local community and are enacted by municipalities in order to preserve or achieve a shared vision. This is what would be called a masterplan. The plan can establish fine-grained controls (parks, open spaces, roads, shopping centers, etc) and can override zone restrictions. In this example, there is a 100m2 plot in a low-rise residential zone where the Building Coverage Ratio (kenperitsu 建蔽率) is 50% and the Floor Area Ratio (yousekiritsu 容積率) is 80%. Therefore, a 80m2 house can be built with a maximum footprint of 50m2. Alternatively, a first and second story of 40m2 each would also be permissible. Note that there is road width coefficient of 0.4 and a road width of 4m, but the lower of the two FAR%’s is enforced. The building coverage ratio (BCR) – kenperitsu 建蔽率 – regulates the maximum portion of the land that can be built upon. The BCR varies according to which land use zone the property is located within. It limits building density, preventing fires from spreading between adjacent buildings; ensuring light and air penetration; and loosely controlling urban character. The floor area ratio (FAR) – yousekiritsu 容積率 – sets the maximum possible floor area (totalled across all floors). This is expressed as a percentage of the site area. The FAR is also established by which of the land use zones the property is classified as. However, local planning authorities may override set a different ratio by establishing districts and enacting district plans. Furthermore, the FAR is limited by an additional restriction – a specified ratio of the road width. In residential land use zones, this ratio is 0.4. Elsewhere it is 0.6, but this can also be altered by the local authority. If a 100m2 plot is fronted by a 4m-wide road within a residential zone (0.4), the FAR would equal 160% (4m x 0.4 = 160%). This result is compared with the FAR set by the land use zone, and the lower of percentage applies. Some areas within the home are not counted as part of the floor area for the FAR calculation. For instance, where the ceiling height is lower than 1.4 meters (low-ceilinged storage spaces are common for this reason) and basements. FAR varies by location. It is used to control the overall population density in urban areas, easing traffic and overcrowding. The floor area of certain commercial buildings (stores, restaurants, etc) may be further limited within certain land use zones. Roads in Japan should be at least 4 meters wide. In reality, old roadways can be narrower. In these cases, the building must be setback from the center of the old roadway by at least 2 meters (or more if so stipulated). The area of the setback is excluded from the BCR and FAR area calculations we discussed above. The minimum road width in Japan is 4 meters. In the case that the roadway fronting a plot of land predates this regulation and is narrower than 4 meters, then the building must be set back accordingly. In this case, the setback is measured 2 meters from the center of the road. Since the road is 2 meters wide, it requires a 1 meter setback from the adjacent site boundary. Further setbacks can be stipulated by districting. In addition to controlling urban density, minimum setbacks help ensure that a road may be widened in the future, which permits access by fire trucks. In addition to the size limitations set by the FAR and setbacks, there are height restrictions on development. In residential land use zones, the slope of the plane is 1.25m rise for every 1m of run. On the roadside boundary, the slope plane originates from the opposite side of the road (or setback) and continues for a specified distance of application. For neighbouring plot boundaries, the slope plane originates along the boundary line from a designated height. In other land use zones, the slope, distance, and height parameters for these calculations have higher values (indicated in parentheses). The parameters can also be tightened or relaxed by the local building authority to guide the height and density in designated districts. 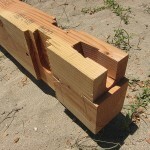 There are actually three types of slant planes, corresponding to the different boundaries of the site – road boundaries, adjacent plot boundaries, and north-facing boundaries (not pictured). Each is calculated differently. Slant planes seem unique to Japan and account for the sloping character of mid-height buildings in urban areas. Of course, not all plots are neat rectangular shapes, so the process of establishing correct height boundaries is usually more complex and can require more sophisticated techniques that are beyond the scope of this introduction. Maximum building height restrictions are enforced through districting by establishing height ceilings for development in the area (no buildings permitted higher than 13 meters, for example). The above is meant as a quick overview of aspects of Japanese Building Standard Law we typically see affecting development plans. 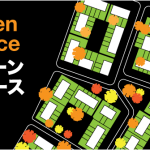 When deciding whether to invest in a Japanese property, you can’t simply compare cost per m2. You should really look at the value of what it is possible to build on the property. If you are considering to build in Japan, this information should provide you with a better idea of what you can accomplish, but it’s by no means a complete picture. As I’ve already made clear, local authorities may override the general restrictions discussed above (as well as many not discussed) with local districting and planning. Therefore, you should carry out proper research into the applicable regulations instated by the authorities at the local, prefectural, and national levels. To fully investigate the development potential of prospective properties, a feasibility study should be conducted, looking at how the applicable regulations will shape the investment potential of one or more sites. 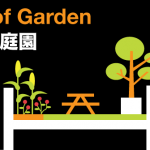 Japan’s Ministry of Land, Infrastructure and Transport (MLIT) has published this pdf overview of the planning system in Japan, explaining all of the concepts above with illustrations. 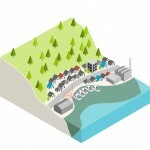 Investing in Japan – an illustrated book aimed mainly at investors and published by the Urban Land Institute of Japan. Legal Issues in Japanese Real Estate Investment – a new and very thorough overview of all aspects of Japanese real estate law – from soil pollution to JREITs – by Jeff Wynkoop, a US attorney/CPA who is also a qualified certified Japanese Real Estate Transaction Manager (takken). The Building Center of Japan also sells a CD containing an english translation of the Buiding Standard Law of Japan. However, like most legal texts, it isn’t very reader-friendly, especially since it’s a translation from legalistic Japanese. Of course, if you need professional help, don’t be afraid to drop me a line. This guide is by no means exhaustive. If there’s something you think I should add or revise, please get in touch either by posting a comment or email me via the contact page. Hello. Thank you for your informative article. I’m wondering if you know anything about a change to Japanese building law (perhaps in the wake of last summer’s landslides in Hiroshima prefecture, or perhaps just as another ‘channel more money to the construction industry’ measure) which is tightening up the ability to build on land next to steep slopes. We live on such a very scenic and lovely plot of land which was developed thirty-three years ago. Recently a construction company which I would say depends on public works projects to survive has been stressing me out by trying to survey our land. It would seem that our slope is too steep (it is indeed steep) and that the company is trying to get a big contract to basically tear up the slopes (and all the gorgeous vegetation) behind the houses in our area and replace it with a huge concrete wall (which would be built at a less steep angle than the current hillside). Our land includes the hillside behind our house, so I think we can be successful in keeping this company and their concrete off it. However, they have insinuated that if this is not done, under the new building regulations (which are nebulous — I have no concrete information regarding this), it will not be possible to rebuild on our land, i.e. the land will no longer be approved as ‘safe for housing.’ Obviously this is stressing me out as it would effectively reduce the value of our land from 30 million yen or so to zero. The house is already 33 years old as well, and it may be necessary to rebuild it in my lifetime. Anyway, it’s very scary to think that we might not be allowed to do that. Sorry to bother you, but if you happen to have any information about this, it would be much appreciated. Did some tours in Japan via google and I must say some towns are kind of weird. Buildings are very near to the street, the sidewalk is often missing and people are forced to walk on grass. Or the street. On the main streets everything looks proper but if you move into the sideways it becomes really strange. Buildings itself look strange to my german eyes. Some are very high but super narrow. Or look like they were transported from elsewhere instead of build there. Very alien looking to the neighboring buildings. Multiple forms where we have here a more uniform town picture. What is something you would expect in Japan,too. And I was kinda shocked to find temples squeezed between buildings or little cemeteries scattered over the place. Either it’s expensive to to buy enough space to build or to buy enough materials to build a decent building. Or the government just don’t care about the countryside. hai, am an architecture student from India . am researching on the constraints that are laid on residential constructions in small linear plots by the regulations of the place . i happened to read that in Japan these linear plots are common and wish to study how does the rules effect the construction there. i would be highly obliged to know from were i can get the rules specific to these linear plots. Hello, thank you for the informative article. 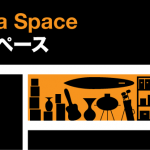 I was wondering where can I get information on Japanese room layout regulations? I need to know minimum dimension of a bedroom and its door size. Thank you. Hello. I am working as an Architect in Japan and hence wanted to study about the local building laws for daily usage while making construction drawings. Wanted to know is the CD that you mentioned above is the only option for English users? I’m really not sure, as this was written some time ago.